Police stopped a peaceful march organised by Moldova’s LGBT community in fear of a violent clash with counter-protesters. 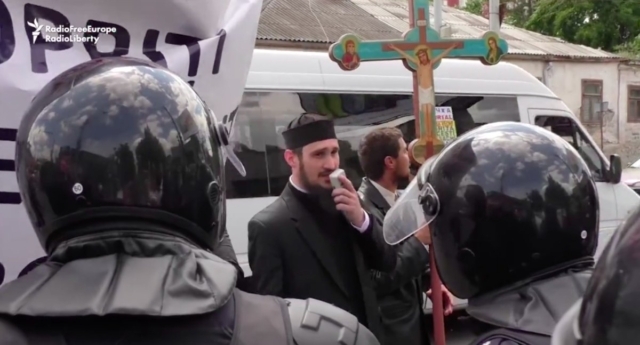 After just a few hundred metres the LGBT march, which was taking place in the capital city Chisinau, was stopped to avoid confrontation with orthodox groups. The LGBT march, under the slogan “Without Fear”, was organised by Moldova’s LGBT community to draw attention to the lack of LGBT rights in the country. 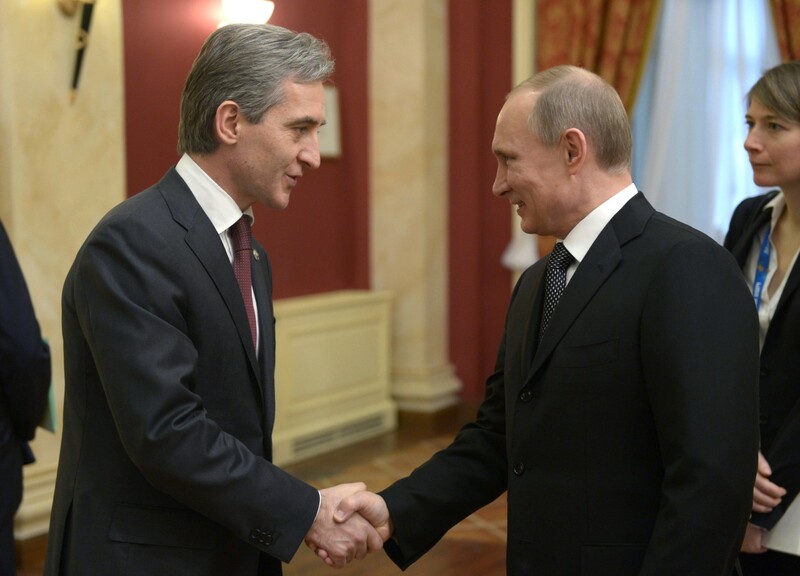 Just last year, Moldova considered implementing a Russia-style ban on so-called “gay propaganda”. LGBT protesters were showered by rose petals as they were walking the streets before being interrupted by the counter-protest group. The attackers belonged to the Traditional Family Festival that was taking place simultaneously in the city. President Dodon, who has criticised the LGBT community in the past, made his comments at that festival, which was organised to promote conservative family values. When the two marches met, people from the orthodox section started throwing eggs and water at the LGBT group. The counter-protest was led by orthodox priests carrying homophobic banners reading: “Gay parade way to hell.”. More than a hundred policemen had to intervene and separate the two groups before helping the LGBT protesters to escape on two buses. The same LGBT march was disrupted by anti-LGBT orthodox groups in March last year. The eastern European country implemented anti-gay laws in 2013 for a period of three months, but they were later repealed in hope of joining the EU. hard against the repeal of an anti-discrimination law which they argued would mean an “Islamisation and homosexualization” of Moldova.